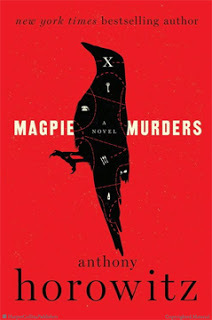 Murder by the Book, Portland, Oregon, reviews mystery & crime books. Welcome to Murder by the Book's blog about what we've read recently. You can find our website at www.mbtb.com. 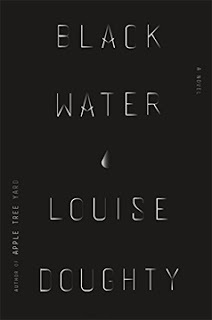 For a book that moved very slowly, I was on the edge of my seat. For a spy novel, it wasn’t really about spycraft. For a book about one man and his long life in the shadowy world of predicting the ebb and flow of world politics, it was not very long. Louise Doughty covers John Harper’s life from when he was first sent to Indonesia in 1965, a volatile time in that country’s history, to 1998, when Harper is in his 50s and has returned to Indonesia. He is paying penance on Bali for some indiscretion, which is slowly revealed. Doughty’s description of life in Bali is evocative. She depicts a very non-Western culture, as seen by a mostly Western man, and creates something that is both exotic and quotidian. 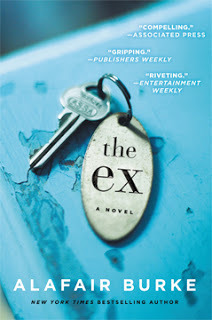 What I like about “The Ex” by ex-Portlander Alafair Burke is the nitty gritty of working a criminal case has not been wrapped in last year’s “Mission Impossible” script. Good twists, good characters, and a good story have not been buried by an overblown cinematic plot. Criminal defense attorney Olivia Randall has agreed to handle the defense of an old college boyfriend on charges of murdering three people. One of the people Jack Harris, now a well-regarded author, is accused of murdering is Malcolm Neeley, the man whose teenaged son went on a shooting rampage a few years earlier which killed thirteen people, including Jack’s wife. Olivia methodically picks through the evidence and innuendo. Then slowly, one revelation after another appears. And it is delicious. “Dodgers” is about four young African-American boys traveling across the country to kill a judge who is scheduled to testify against their gang boss in Los Angeles. What research, life experience, or attentive ear qualified Beverly to write this book? I have no personal experience or knowledge of gangs in L.A. (other than being a loyal fan of “The Wire,” set in Baltimore) and wouldn’t know if Beverly’s portrayal of gang activity is accurate. Perhaps authenticity is not the main goal anyway. It’s a bizarre coming-of-age kind of story, a what-can-go-wrong-will-go-wrong kind of story, a touching story of a boy without a sense of normal who must learn to inhabit the alien environment of the Midwest. The poetry and power of Beverly’s book lies in the observations East, the main character, makes of the country he travels through and the people he meets. What is the toll on East’s psyche caused by his and others’ actions? He suffers traumatic blow-back from what he witnesses and what he himself has done. 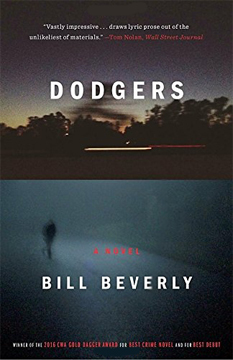 "Dodgers" is a heart-wrenching book about survival and belonging. 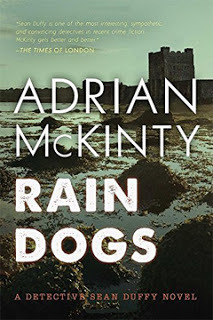 Is Adrian McKinty Ireland’s poet laureate? He should be, although he is a fiction writer and there probably is fierce competition in the land where words rule. Even though McKinty lives in Australia now, his Irish voice is strong and melodic. It’s also funny, ironic, resigned, feisty, and tantalizingly evocative of Belfast in the time of The Troubles. It starts when off-duty CID Detective Sean Duffy is called out to find the missing wallet of a member of the Finnish delegation in town for an important business meeting. It is 1987, so the economic value of new business cannot be overestimated. Soon it escalates to a locked room murder. I enjoyed the slow uncovering and linking of clues. I loved how McKinty gave Sean a love of esoteric classical music and single malt Scotches. I love how Sean used words in fun, to spite, to cajole, to spar. Sean Duffy is a great character. “The Borrowed” is an extraordinary collection of novellas with common characters. The six stories are all set in Hong Kong and go backwards from 2013 to 1967. They cover modern Hong Kong, the handover of Hong Kong from Britain to China, and the unrest under British rule. Chan Ho-kei has given us an historical perspective along with some cracking good detective stories. Chan cleverly presents the stories backwards in time so you can notice how the future of the characters is affected by occurrences in the past. 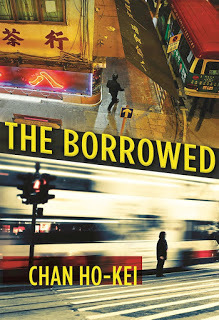 I don’t know why the title of the book is “The Borrowed.” Does it refer to some of the characters borrowing experiences from the past to inform the present? The book is certainly about choices. Are they living on borrowed time, because they certainly could have been killed at certain points? Gus Murphy works for a second-rate hotel. (He defends it against slander that it is a third-rate one.) He is the hotel’s chauffeur and also the hotel detective and nightclub bouncer, none of which to this point has produced too much excitement, if you don’t count the dead body that had more to do with Gus than the hotel in the first book in this series. In return he receives a small income and lives in one of the hotel’s rooms. Things are starting to look up in his personal life, so of course things must now go sideways in virtually all aspects of his life. Two of Gus’ good friends — perhaps his only friends — simultaneously develop serious problems. Slava, a fellow hotel employee, is running from a past that may have caught up with him. Cold-eyed Russians and Chechens are involved. And guns. Gus’ other friend, Father Bill, knows someone who could use Gus’ detective skills. Micah is a cold-eyed man who wants to find out why his granddaughter was murdered. All those cold-eyed people could just about freeze a private eye into the grave. 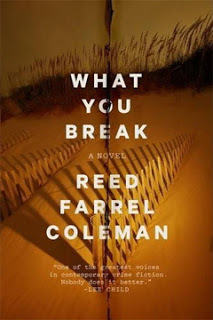 Although I had reservations about Gus’ characterization, I am in awe of the overall quality of Coleman’s work. What a riveting book this was! And the translation by Rachel Willson-Broyles was terrific. Willson-Broyles’ work conveys a sense of a different culture while reading smoothly as though it had been written originally in English. 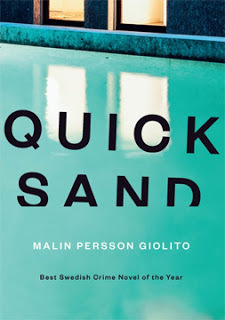 Malin Persson Giolito has written a book with a full quota of suspense, overlaid by the social commentary for which Swedish writers are known. When the story begins, eighteen-year-old Maja Norberg is in jail awaiting her trial. She is accused of participating in a school shooting with her boyfriend Sebastian Fagerman. The story is told through Maja’s first-person narrative. Is she an unreliable narrator? 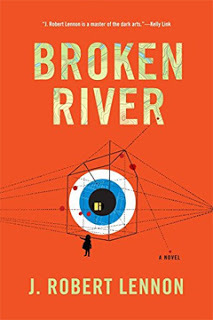 Maja’s dream-like life in jail contrasts with her sharp recollection of how events and introductions coalesced into the teenaged angst that led to the murders. During the trial, she sits removed and quiet on the outside, while suffering from inner turmoil. “Quicksand” is about teenage anxiety, about parent-child relationships, about friendships, about expectations, about powerlessness and love and abuse. Giolito does her weaving so well that her story sticks around long after the last page has been turned. I started the book thinking that Maja would prove to be a conniving, spoiled brat who was startled to find herself caught. Giolito pulls out other possibilities, until Maja’s truth is revealed. It is always a pleasant surprise when an author’s storytelling prowess grows as she goes along. I liked “Rage Against the Dying,” Becky Masterman’s first Brigid Quinn book. The second book, “Fear the Darkness,” not so much. 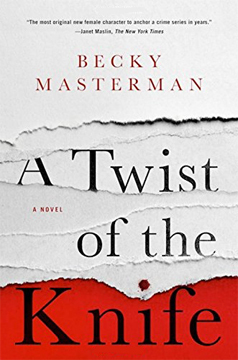 The third, “A Twist of the Knife,” is an energetic and throughtful return for ex-FBI agent Brigid Quinn. Leaving the dry heat of her home near Tucson and the loving embrace of her husband, Carlo, Brigid returns to her humid home state of Florida, with a chance to solve a fifteen-year-old mystery and perhaps save a man waiting on Florida’s death row. Becky Masterman has pulled one out of her writer’s hat, for sure. The story, which could have been just a straight-ahead thriller, stops on many occasions to ponder the morality of catching perpetrators at all costs. It stops to examine the lives of people traumatized by the past and asked to make choices that have no good endings. It makes us wonder about the inhumanity of caging people for years while awaiting their appointment with death. 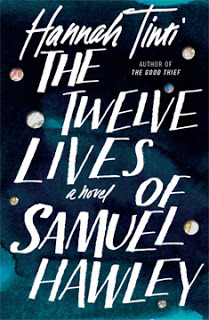 Hannah Tinti is the much-lauded author of “The Good Thief.” In “The Twelve Lives of Samuel Hawley,” she once again creates a story larger than life, laced with quiet passion and heart. Bullets usually go through me, says Samuel Hawley, as he collects an egg carton’s worth of them. That is not to say he isn’t harmed by the bullets, but he manages to bleed, then heal. We learn how he acquired the bullet holes through two stories: one following Loo, his twelve-year-old daughter, and one when Samuel met Lily, Loo’s mother. Tinti follows the author’s prime directive: show, don’t tell. She doesn’t just say Hawley and Loo shoot firearms. She describes the guns, shotguns, and rifles, and how to shoot them. Hawley and Loo don’t just sail, Tinti describes every roll, pitch, and yaw. The stories are imbued with facts and touches — just enough, never too much — which amplify each part of the story she tells. “Twelve Lives” is a master class in creating the three dimensions and five senses of a fictional world. What do you do after you’ve written a bunch of much-praised, dark crime novels? You don’t go to Disneyland; you write a dark non-fiction crime book. And you write it with style. 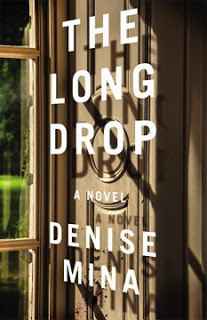 “The Long Drop” is only non-fiction in the sense that it is based on actual crimes in 1950s Glasgow and the actual trial of the accused perpetrator, Peter Manuel. At his trial, during which he fired his lawyers, Manuel talked for six hours on the witness stand, providing rich material for author Denise Mina. Glasgow in the 1950s has never gleamed with such a dark and shiny luster as it does in Mina’s book. She flexes her Glaswegian muscle to present the characters behind one of Glasgow’s most infamous stories. Even when Mina sets a scene, she does so with choice and evocative words. For instance, “The grate is chrome, long and pinched, a prissy kiss of a grate.” She packs more in her 240 pages than most authors would in 420. This is a wow! of a book. J. Robert Lennon has created a perfect rendition of a complicated story. His slew of characters have distinct voices. His three main storylines converge and leave nothing wanting. A man and a woman are murdered in an isolated place near their home in upstate New York. Their young daughter escapes. The killers are never caught. Twelve years later, an artist, a writer, and their twelve-year-old daughter move into the renovated house that once belonged to the doomed family. Stuff gets stirred up (mainly by the twelve-year-old) and suddenly there is a threat in the air once again. But not all of the menace is physical. Lennon moves from character to character, sometimes lingering longer on one. He gives each one a separate tone through style and language. He can move from the angst/ennui of a twelve-year-old to the lunkish thoughts of a hard-boiled criminal to the anxiety of a sophisticated middle-aged woman to the neediness of a self-involved middle-aged man. At one point I was racing through the book so fast, I lost track of the story’s timeline. I had to go back and reread a couple of pages. I resented that. I didn’t want to waste an extra minute getting to the end. 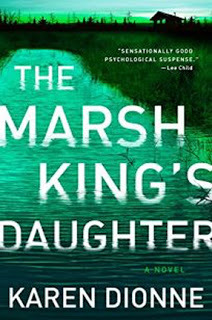 That’s the kind of book “The Marsh King’s Daughter” is. Helena Pelletier was twelve years old when she and her mother escaped her father’s home in the marshy area of Michigan’s Upper Peninsula. Although it was a traumatic time, she learned a lot about survival from her father. Now she has a family of her own, and her father has escaped from jail and is coming for her. If I ever stop raving about this book, it will be because I’m dead. Anthony Horowitz has mastered the art of writing a mystery so much so that he can even be full-blown meta about it. Yes, this is a mystery within a mystery. And each one is superb. An editor at a publishing company in present-day London has as her main client a dislikable, but immensely popular, mystery writer. The publishing company has received his latest manuscript, but it is missing the crucial whodunnit pages at the end. Horowitz actually presents this manuscript, set in 1955, in a small village in the English countryside. He writes in the mystery writer’s voice. The present-day editor must find the missing pages. It should simply be a matter of asking the author for those pages, except the author has died by falling off the tower of his eccentric home in the English countryside. Horowitz makes every character appear suspicious. There are clues. There are red herrings. Hats are offed to myriad other mystery novelists, especially Dame Agatha. It is clear that Horowitz is a fan and a scholar of the genre. 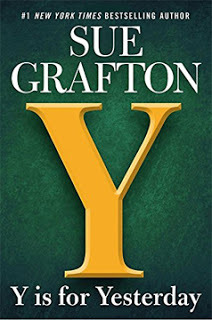 All of Sue Grafton’s Kinsey Millhone books are blasts from the past, since Grafton has steadfastly refused to budge from the 80s (until the end of “Y Is for Yesterday”). This book is even more blastworthy as the story also wanders back to events in 1979. However, compared to the warmth and humor of Kinsey’s first-person telling, the 1979 third-person narrative seems colorless, narrative for narrative’s sake. Nevertheless, it’s Sue Grafton, folks! Y Is for Yay! The main story of “Y” concerns the release from prison of Fritz who, as a teenager, shot Sloan, a fellow student at an expensive private school. Upon Fritz’ release, an extortionist demands $25,000 from Fritz’ parents or a videotape will be sent to the police. What is on the tape and what could be worse than what Fritz has already endured? Cue Kinsey Millhone’s appearance. It’s one thing to wrap up loose threads, it’s a genius thing to fifty-four years later create loose threads that need fixing. Is there any spy book more iconic than “The Spy Who Came in From the Cold”? John le Carré wrote that in 1963. George Smiley, spy master and grand marshal of the spy parade, made a quiet splash there. 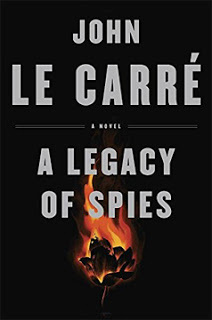 What made le Carré’s books different was the moral gray ground through which the characters waded. There is no suave James Bond with a license to kill. There are instead intellectuals playing a chess game with real people as pieces. In taking up the tale created in “The Spy Who Came in From the Cold,” le Carré has chosen Peter Guillam, a second banana in many of the Smiley books, to carry on. He is the center of attention. What does he know or even remember of the events in 1963? This tale slowly peels back the second banana’s recollections. Ah, I do so love a faraway story told with humor, philosophy, ghosts, 1980s Laotian Communists, and rat catching. 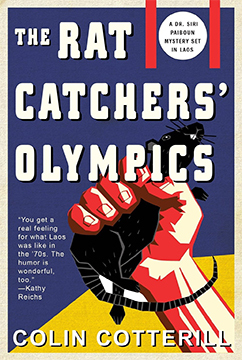 What happens when series star, Dr. Siri Paiboun, is sent with his wife, his ex-morgue nurse, and his best friend to the 1980 Olympics to oversee the last-minute Laotian team. If your memory stretches back that far, remember the U.S. and many of its allies boycotted that Olympics over the Soviet Union’s invasion of Afghanistan. The holes created by the no-shows meant a bonanza for small Communist countries, like Laos. Siri solves the murder — of course, there is a murder — in his own thoughtful, spirit-filled, non-Western way. And, as a bonus, we get to see a lot of eccentric Laotians frolic in the antiseptic venue created for a world-class event in Moscow. “Himself” is a very unusual murder mystery. For one thing, there are tons of ghosts drifting about in the background of this story set in 1950 and 1976 in the Irish village of Mulderrig, County Mayo. The central murder happened in 1950, and in 1976, the son of the murder victim comes back to the town of his birth to find out what happened. Mahoney — just Mahoney — purposefully drifts into Mulderrig on an unnaturally hot day in April. Nothing that happens after his arrival can be said to be natural. FYI, Mahony can see dead spirits. Besides that, his appearance has triggered some sort of seismic supernatural activity that builds to a cataclysmic crescendo. 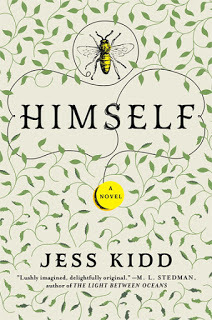 “Himself” is bracingly charming, poetically musical, wittily Irish, decorously lusty, wonderfully drawn. Wait! What? I predict that is exactly what you will say upon finishing this book. Ingenious author or wicked tormentor? 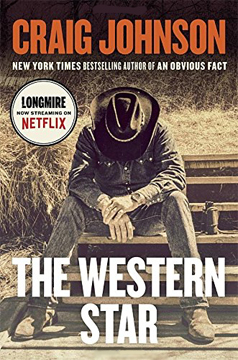 That Craig Johnson is some clever cowboy. This is Wyoming Sheriff Walt Longmire’s upmteenth millionth adventure. Thank goodness they have all been embellished by Johnson’s humor! This time around, Johnson tells two and a half tales, resulting in two-and-a-half times the fun. Walt is a brand-new deputy to Sheriff Lucian Connelly of Absaroka County, Wyoming, in this tale told back in time. They are journeying on a train across the state with a bunch of other rootin’-tootin’ sheriffs. When a murder occurs, you would think there would be an immediate result, given the amount of detecting ability on board. But, no, it is up to Walt to save the day. There is also a present-day story. All you need to know is that The Cheyenne Nation, The Greatest Legal Mind of Our Time, the undersheriff, the granddaughter, and the old man show up. They flit around as babysitters, house painters, and couch movers for most of the book, until they are required to haul out their firearms in a good cause. What an inspiring list. Thanks for taking the time to inspire some reading soon. MURDER BY THE BOOK, a bookstore for the mystery reading community, opened in 1983. Although our collection of new and used mysteries was terrific, what we prided ourselves on most was our customer service. Our staff had more than 50 years combined experience, all focused on helping you find the perfect murder, whether it's an author you read long ago whose name you can't remember, a new author like your old favorites, or the missing title in your favorite series. Our doors closed in April 2013 but the spirit of Murder by the Book lives on through our website, book blog and more. If you are interested in purchasing a book mentioned in a blog post, please do so from your local, independent bookstore. They need your support and you need them in your neighborhood. Visit our website at www.mbtb.com. Why are some of these books not mysteries? I do not do anything with the data Google Analytics collects. I do not share or sell the email subscription list. I do not accept advertising. I do not use or endorse third-party cookies. To my knowledge, this blog has never been hacked. Please let me know if I can provide any more information.